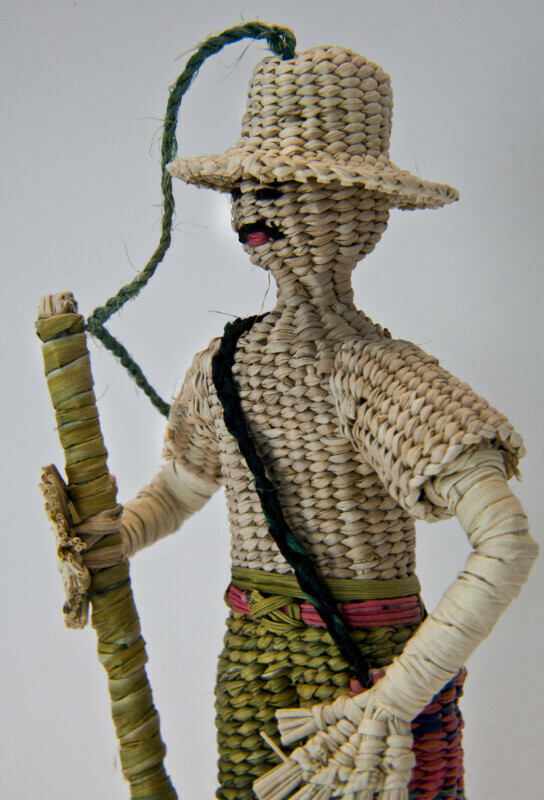 Male figure made entirely with woven straw. This man is wearing a Panama style hat, and his facial features are woven into his head. He is wearing green woven pants and has pink straw sandals. He is holding a large pole covered with plant fiber. He has a satchel with a shoulder strap hanging at his waist. The figure stands 5 inches (13 cm) tall.